Im sure in any home there’s that 1 room- closet-area that becomes filled with clutter & every time it’s used a nervous breakdown is well on its way..! Well, this ‘closet’ or ‘storage room’ of mine was an absolute NIGHTMARE before getting it all organised. It’s not the prettiest of rooms…but hey! If it’s functional I’m happy! Anyone that knows me well know how much I’m completely OBSESSED with all things craft & DIY. I tend to hoard laces & trimmings and having them stored in a box was not good enough for me. 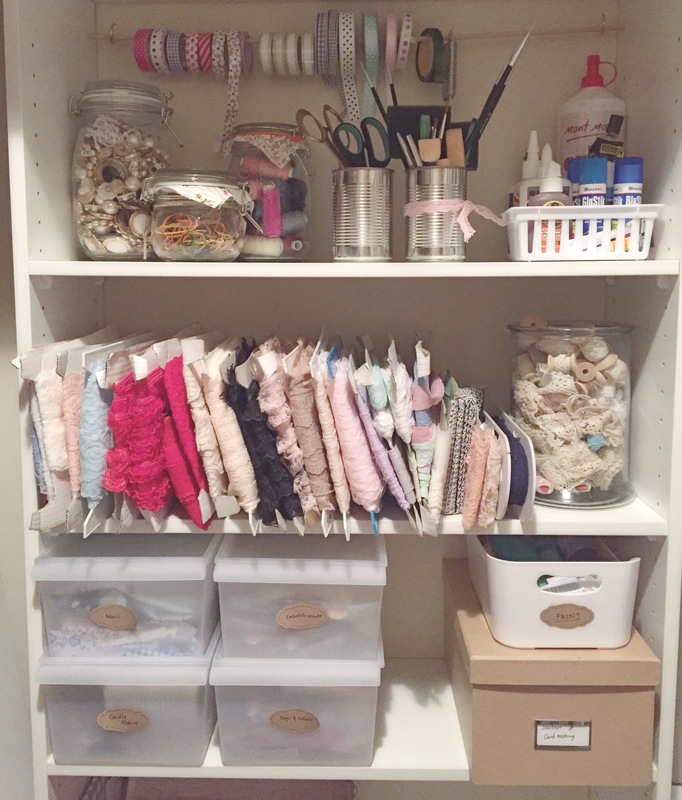 This is how my ‘Craft’ section looks- I would love to tweak it a little make it a little ‘prettier’ but this will have to do for now. I’m happy! It’s pretty hard to take a photo showing the whole room- but this is a frequently used section of the storage room. 🔸The best way to organise a particular closet, or cupboards is by literally taking out EVERYTHING! 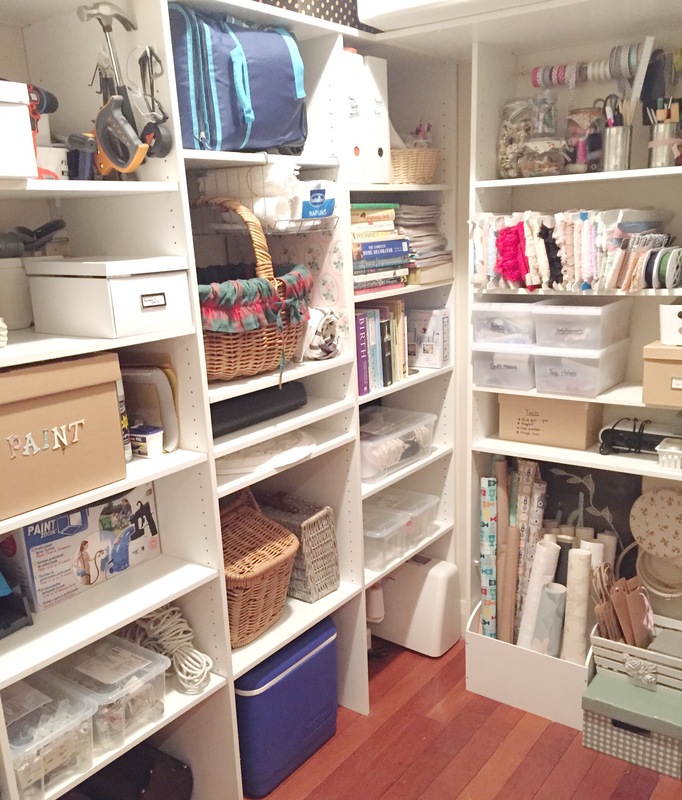 🔸 section off your closet…I will list how I have organised my storage room so you can get a rough idea of what may suit you best…. In my storage room I have sectioned off my things into ‘home decor’, ‘hardware & tools’, ‘picnic essentials’, ‘home & garden decorating books and magazines’, ‘sewing essentials & my machines’, ‘craft & gift wrapping section’, and I have space bagged cushions I’m currently not using and winter blankets into great storage cases. 🔸place everything in a functional way so once they are needed it’s easy to use. It’s always best to keep the bigger objects visible to the eye store away the little bits into storage containers or boxes and simply label EVERYTHING so you know what’s in the boxes. wow – this is such a great example – lots of thought into this. Thanks for sharing!